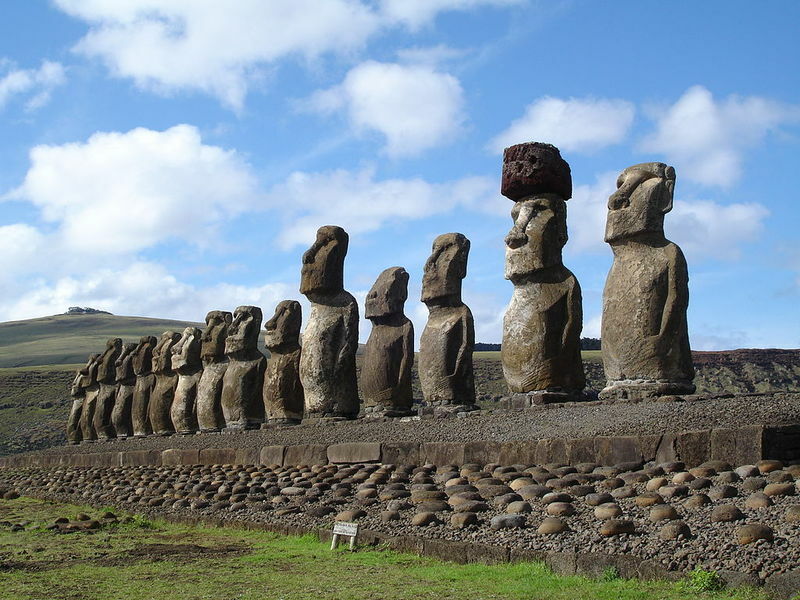 Easter Island is an island located in Polynesia, in the middle of the Pacific Ocean at 3700 km from Caldera. 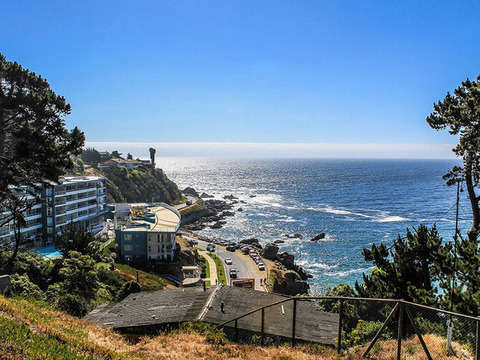 It has an area of ​​163.6 km², which makes it the largest of the islands of the insular Chile, and a population of 5035 inhabitants, concentrated mainly in Hanga Roa, capital and the only existing town on the island. The nearest inhabited land is the British territory of the Pitcairn Islands. 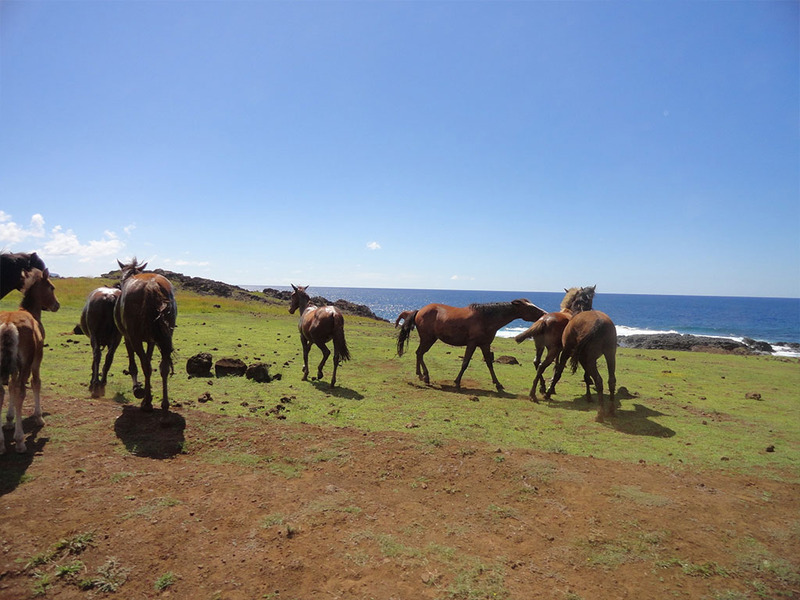 The island is one of the main tourist destinations due to its natural beauty and its mysterious ancestral culture of the Rapanui ethnic group, whose most notable vestige corresponds to enormous statues known as comomoái. Tell us where you are in to pick it up. 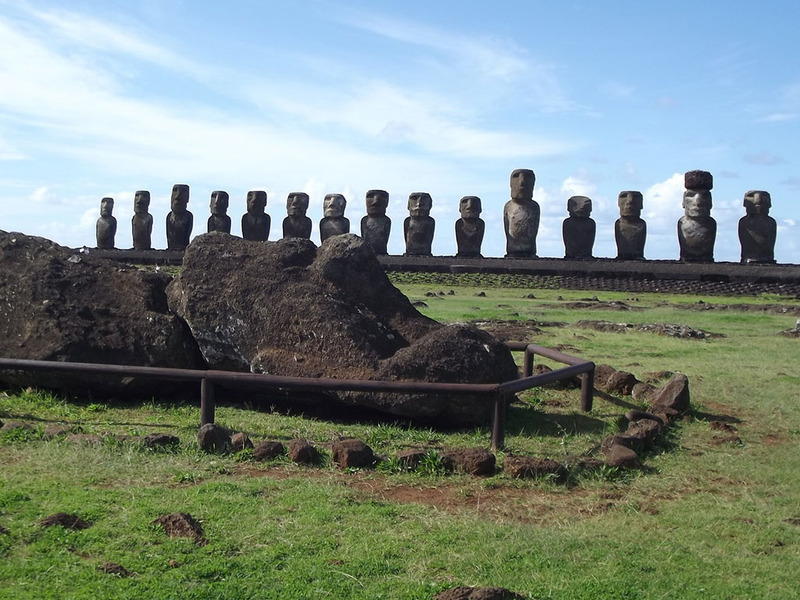 Start the tour from your hotel at 9:00 am, take you to the south-east and north-east coast of the island to visit the Ahu Vaihu temple, located 10 km from Hanga Roa and composed of a well-shaped stone platform worked where you will find 8 Moais and 8 pukaos scattered in the vicinity. 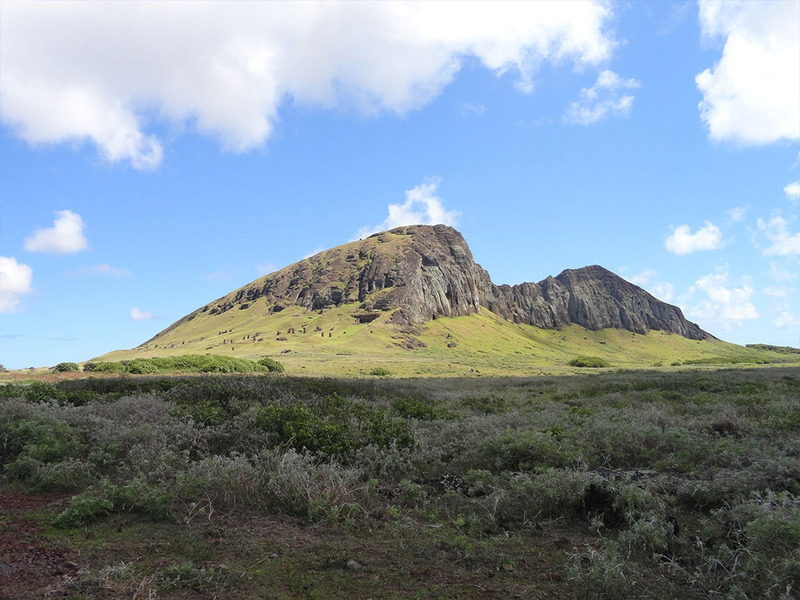 Then you will go through the Ahu Akahanga towards the interior of this Ahu you can appreciate one of the best preserved villages on the island. You will arrive at the incredible Ahu Tongariki, which with its 15 moai is the largest Ahu on the island. 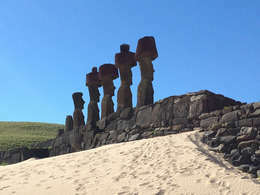 Then we will find the great spherical stone that is identified as the navel of the world or as it is called by the people Rapa Nui, Te Pito or Te Henua. Then, you will arrive at the Ahu Nau Nau on the Anakena beach, where you will meet 5 Moais with their respective Pukao. The tour continues until you reach the Rano Raraku volcano and quarry, where most of the moai on the island were carved. You can see about 400 moais in various stages of carving. Finally it will go to the wonderful beach of Anakena, corresponds to the name of a small cave of an adjacent ravine.